Mozilla will release the fifth version of its Firefox browser by 21st June 2011, according to a developer roadmap. A draft roadmap shows Mozilla's plans to release Firefox 5 in beta by 17th May 2011, with the final release due by the end of June 2011. 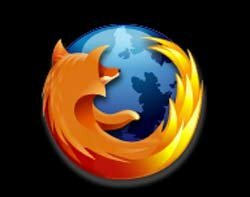 In a draft development process document, the company said: "For Mozilla to make a clean break from long, feature-driven release schedules, the project will need to find a way to transition to schedule-driven releases." "The accumulation of patches during the initial rollout of Firefox 4 is a primary concern. The way we're going to handle this problem is by taking an extremely early cut at Firefox 5," the company added. Mozilla recently made Firefox 4 available to download for Windows, Mac OS X and Linux. The latest version includes security features and a content security policy. Twitter is using Mozilla's content security policy (CSP) in Firefox 4 to help prevent web-based attacks on its mobile site. Mozilla statistics show Firefox 4 has been downloaded over 77 million times since March 2011. Click here to see Mozilla's draft roadmap.